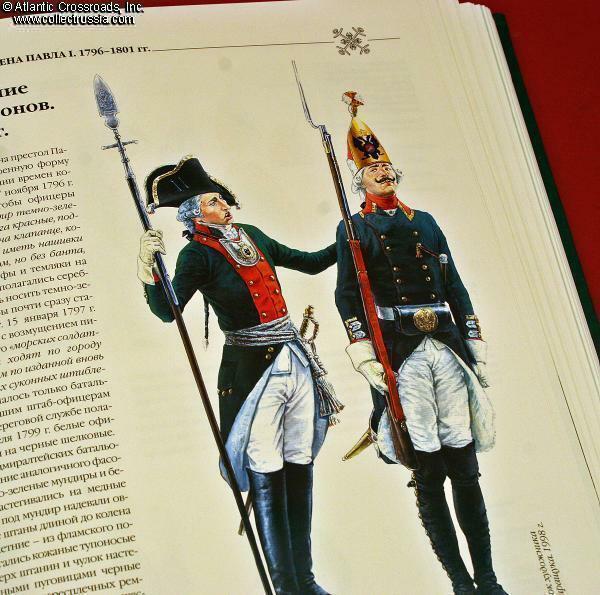 "300 Years of the Russian Marine Infantry, Volume I (1705-1855)" Kibovskii & Leonov, 2008. 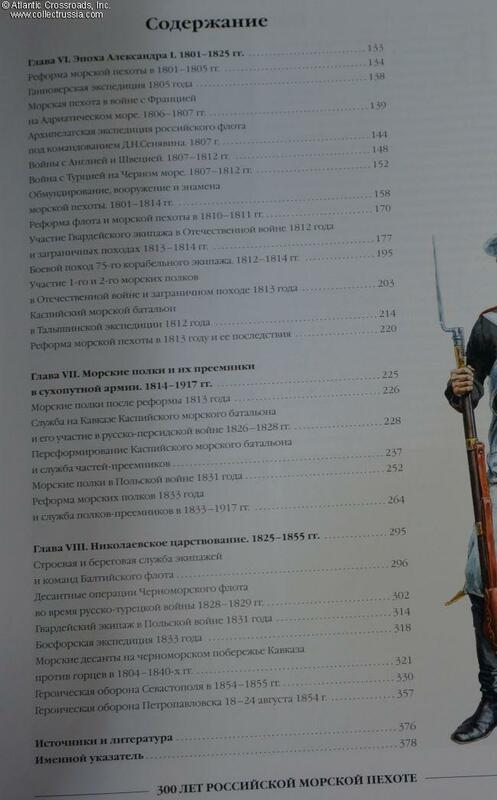 "300 Years of the Russian Marine Infantry, Volume I (1705-1855)" Kibovskii & Leonov, 2008. 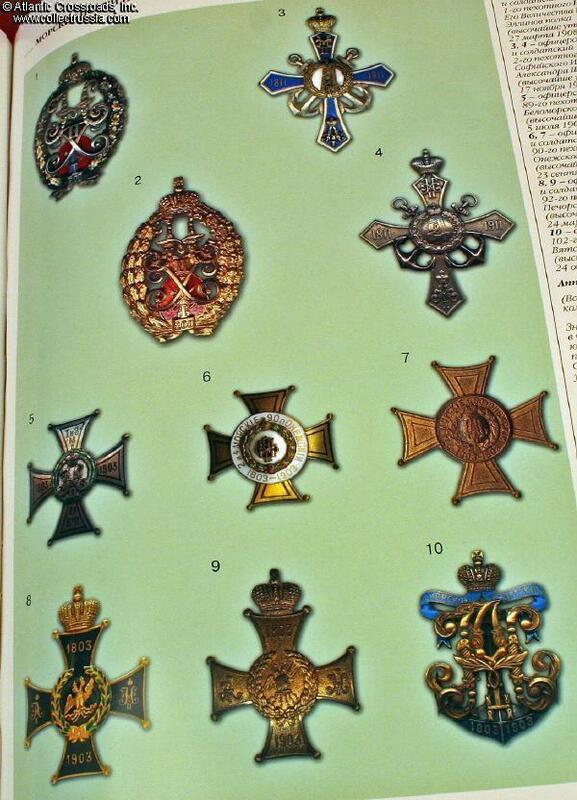 Russian text with English captions, 384 pages, hundreds of photographs and illustrations. 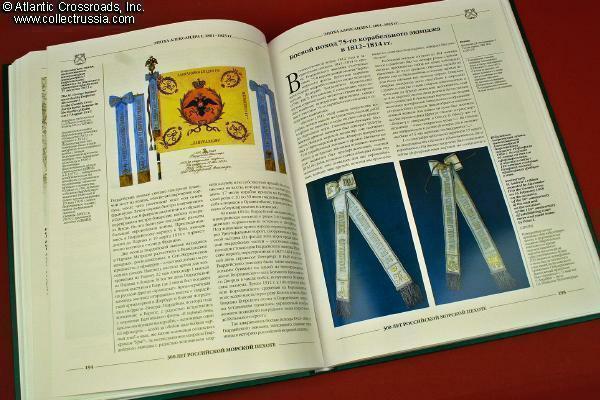 Oversized 9 ½ X 12 ½ [4.5 x 31.5cm] with a hard laminated cover. 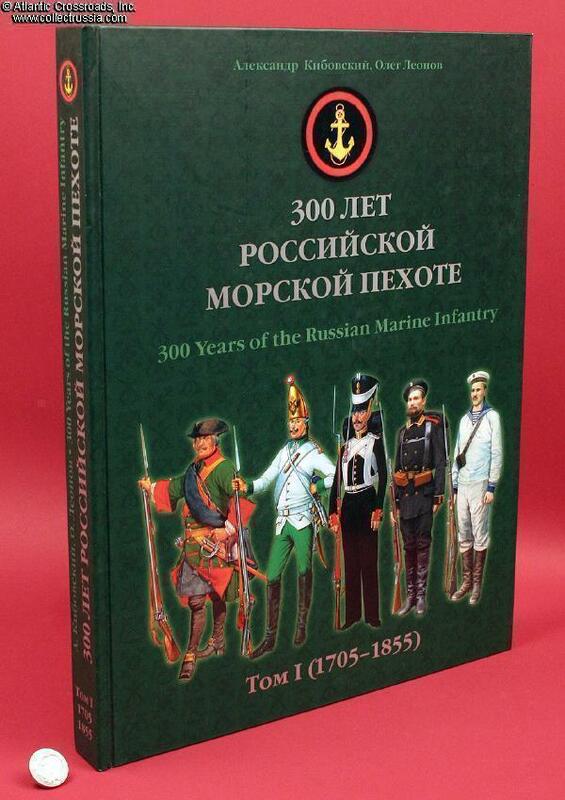 An outstanding history of the first hundred and fifty years of the Russian marine infantry. 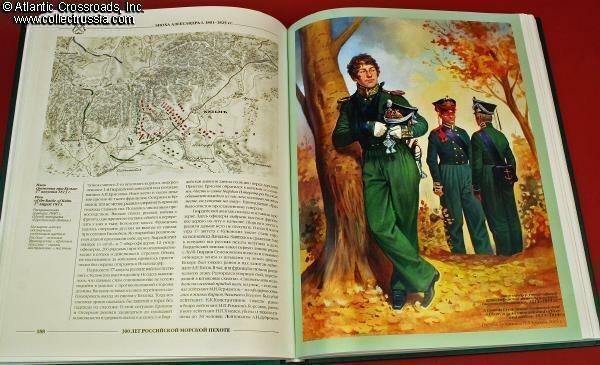 A beautifully designed and printed book with hundreds of illustrations: quality reproductions of maps and paintings of uniforms and battle scenes (both of original paintings rendered during the time period covered as well as many new illustrations specially done by the best of current Russian military illustrators), plus many photographs of rare awards, badges, and actual artifacts. 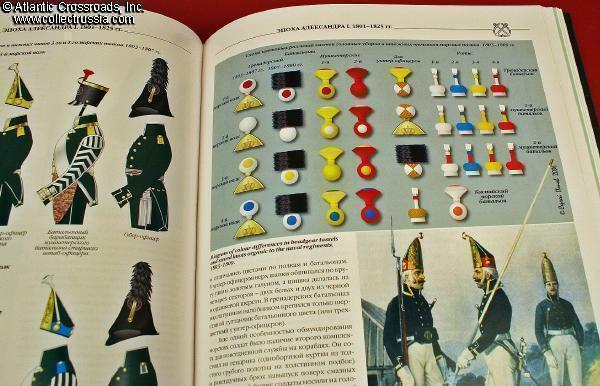 The text is supplemented by numerous charts and there are also many schematic drawings clearly illustrating and clarifying the subtle but important nuances of Marine uniform.